With Instagram's limited filters, junior varsity photo editing functions, and square photo orientation, you need a little help when curating a design-savvy Instagram feed. Am I right?! I often use outside apps to edit my photos before posting them to Instagram. 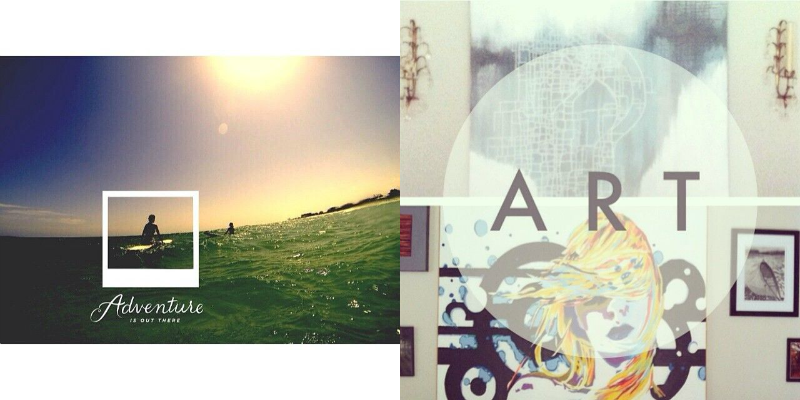 Here are the 4 Best iPhone Apps for Instagram. Do you use any of these? What others do you love? Pic Stitch allows you to create a photo collage using multiple photos. There are many layout options, and you can upgrade to access even more layout and border options. The app also allows you to determine the space between the photos. PicFlow is basically a slideshow of a selection of photos. The above slideshow is from my road-trip across the country. When used more creatively, you can use it to make short, stop-motion or time-lapse films. For instance, I used it with a boy I nannied to make a stop-motion Godzilla film. I often don't want to crop my photo into a square (Instagram's only option), because I'll lose some of the image, so I use the Squaready App. It allows me to keep the horizontal or vertical photo orientation by creating white space around the image to stay within the square perimeters. The Studio Design App is probably the most intricate and complex design app out there. It feels like there are no limits to what it can do. It's Photoshop on your phone! You can create new designs and add layers of text, graphics, patterns, textures, and more, or you can remix an existing design, add your own photo, and edit as you see fit. It is free, but I doubt for much longer, so get it NOW!